(c) before a material change of position, knew or had reason to know that it was a trade secret and that knowledge of it had been acquired through improper means. The Act defines “improper means” as “the theft, bribery, misrepresentation, breach or inducement of a breach of an express or implied duty to maintain the secrecy of, or to limit the use or disclosure of, a trade secret, or espionage through electronic or other means, access that is unauthorized or exceeds the scope of authorization, or other means that violate a person’s rights under” New Jersey law. A party which has been the victim of a breach of the Trade Secrets Act may receive an injunction restraining the breach and an award of compensatory damages. It may also receive an order for the breaching party to pay its attorneys fees and litigation costs if the misappropriate was willful, malicious or in bad faith, together with punitive damages of up to twice the compensatory damages. The statute of limitations governing these claims is three years. Recent cases, such as this recent opinion in the General Equity Part of Chancery Division of the Superior Court of New Jersey, have held that in order to recover under the New Jersey Trade Secrets Act, a party seeking enforcement must prove that the information is actually a “trade secret,” that the business derives economic value from its competitors not knowing the information, and that the data has been misappropriated. Given these requirements, a confidentiality agreement (also known as a non-disclosure agreement, or “NDA”) in which the parties themselves define what is actually protected is a wise insurance policy. NDA’s are governed by general New Jersey contract law, albeit with some unique characteristics applicable in this area themselves. Generally speaking, NDA’s are enforceable if they clearly define what is protected, they are not overly broad, and their terms are reasonable. It should be noted that there is a movement on to limit the enforceability of NDA’s in settlements of discrimination or of harassment lawsuits. In fact, a bill has been submitted to the New Jersey State Senate to do just this. However, thus far the bill has not been adopted, and thus these agreements remain enforceable – for now, anyway. This should not affect the enforceability of NDA’s in the context of business transactions. 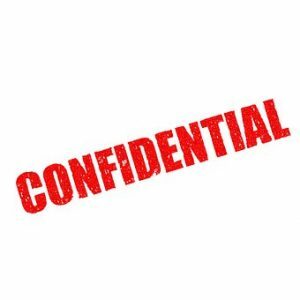 McLaughlin & Nardi’s business attorneys represent companies seeking to enforce the confidentiality of their trade secrets, and in drafting and enforcing NDA’s. Call us at (973) 890-0004 or email us to speak with one of our business attorneys.